Thank you for choosing to subscribe to the mailing list of the United Sri Lankan Muslim Association of Australia (USMAA). Please fill out the form below to receive our communications. We'll do our best to be relevant, informative and up-to-date with resources right in your email inbox. To become a financial member of USMAA, contact info@usmaa.org.au. Financial members receive discounted tickets, special exclusive communications and other benefits. Your information is completely private and confidential. We will not share your information with any unauthorised third party. 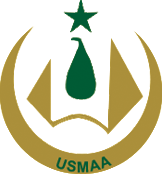 Only authorised members of USMAA's Management Committee will be able to access your information.